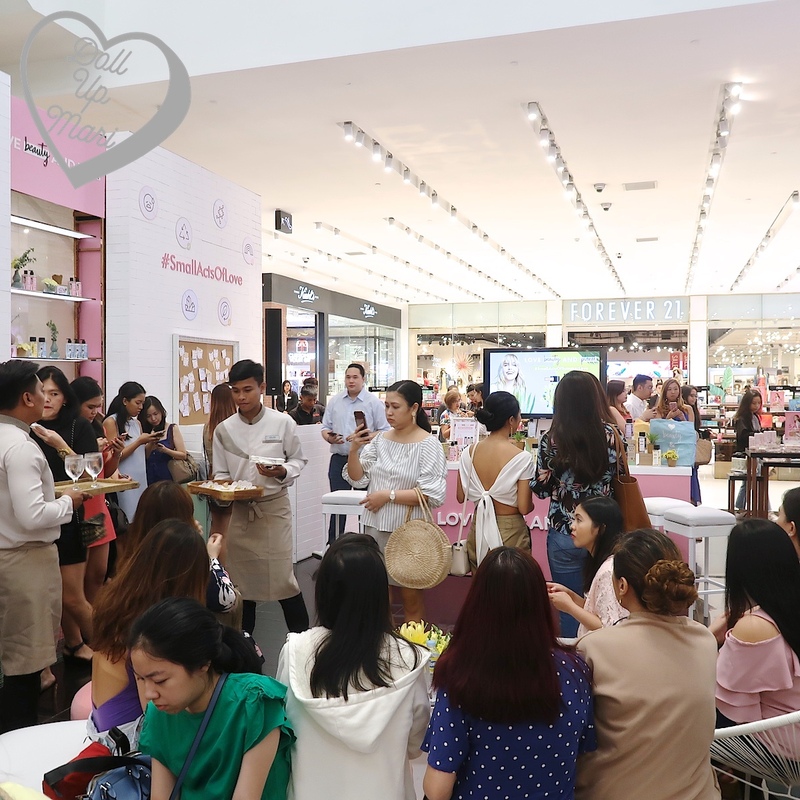 We all gathered at SM Makati's events area to check out the new products and hear from the brand managers. Today's host is Bianca. May I just say I love her frilly blouse! 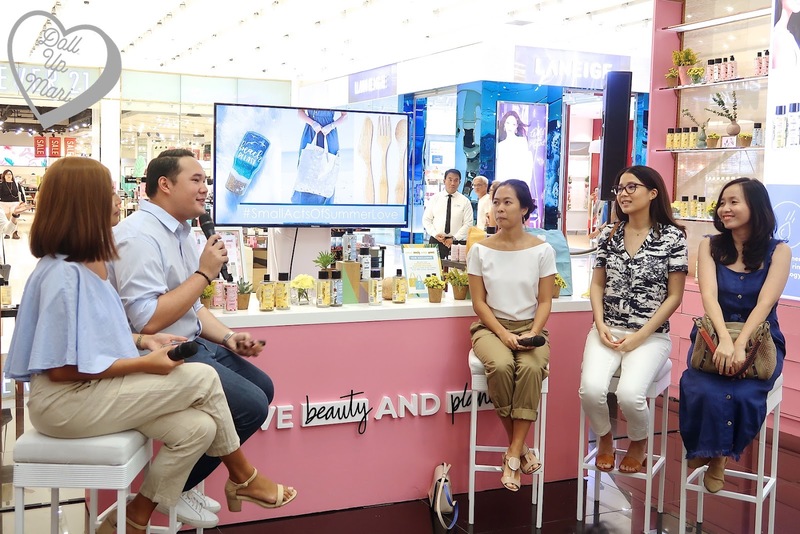 Clint Raypon, Unilever Premium Business Group Manager, discussed the key pillars of the brand. 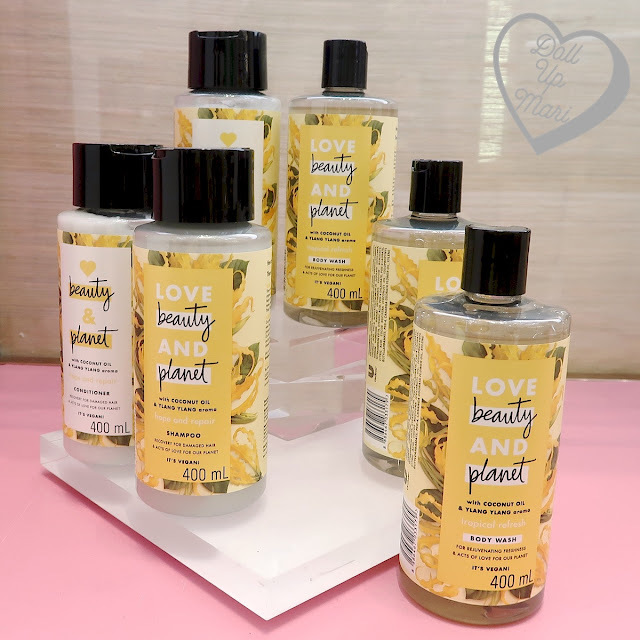 Love Beauty and Planet is all about being that beauty brand that closes the environmental loop. They source ingredients in ethical means from natural sources, dispense them in 100% recycled bottles, and create means for the brand to retrieve used bottles so they can serve a future purpose. The recycled bottles can then be reused or turned into eco bricks. They also do not use harmful chemicals, do not test the products on animals, and churn out 100% vegan products. 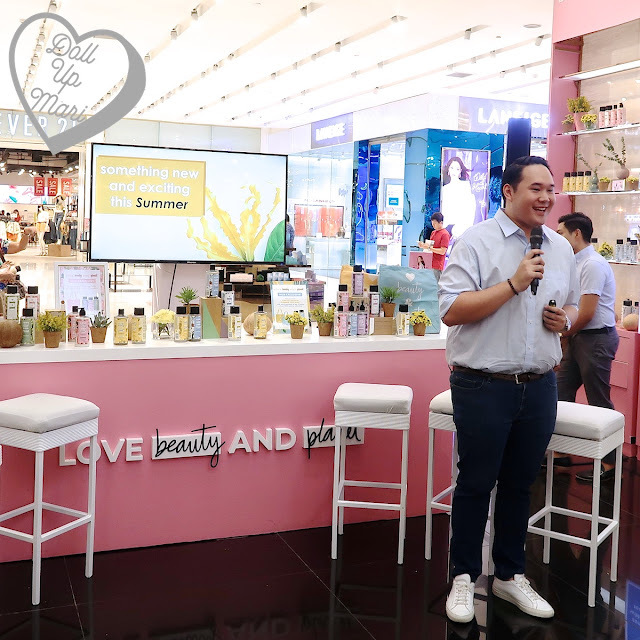 Robert Hechanova, Love Beauty and Planet brand manager, spoke about his excitement with the two new fragrances, Coconut Oil & Ylang Ylang and Coconut Water and Mimosa Flower. The best part? 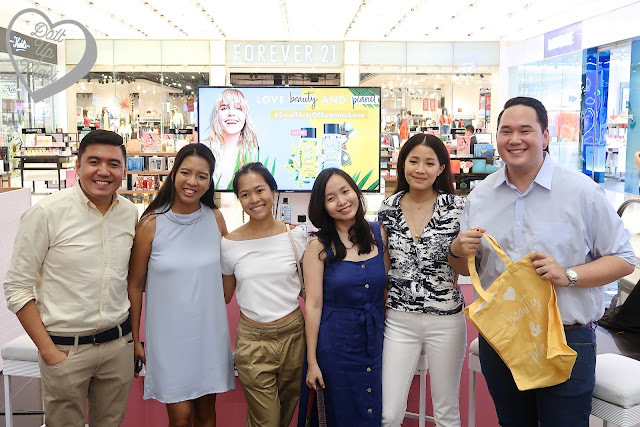 All the coconuts in these new fragrances are sourced from the Philippines! That's why Robert was all smiles as he was presenting. LB&P usually sources plants from the best places in the world, so indeed, it is a compliment to our coconut industry that the coconuts used in LB&P products come from the Philippines. Dani De Leon, Unilever SEAA Hair R&D Total Project Lead, shared how the Love Beauty and Planet's new products fare against other brands. 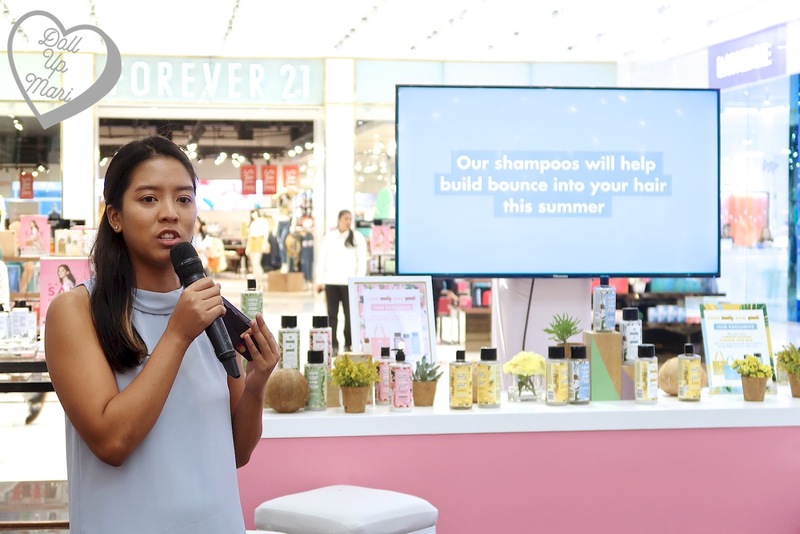 LB&P's shampoo makes hair bouncy, but hydrated and free from static frizz. The lotion is lightweight, and is sort of this lightweight gel hybrid, but it locks in a whole lot of moisture into the skin. And of course, there's their conditioner with fast rinse technology! They invited several sustainable living experts to speak on their own journeys and experiences. 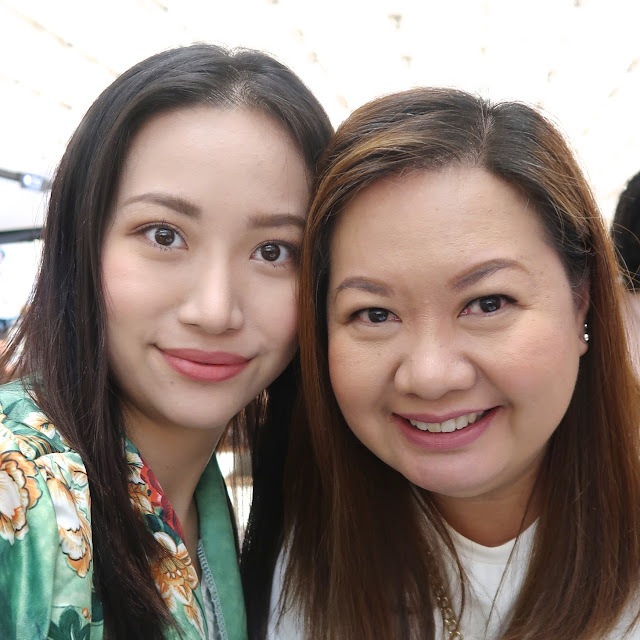 The best takeaway is from Winnie Wong who shared how it's important to not nitpick on each other. I totally agree with that. We've gotten to this point of being too woke that people are no longer given room to learn and grow. Sustainability is not this one day change kind of thing. 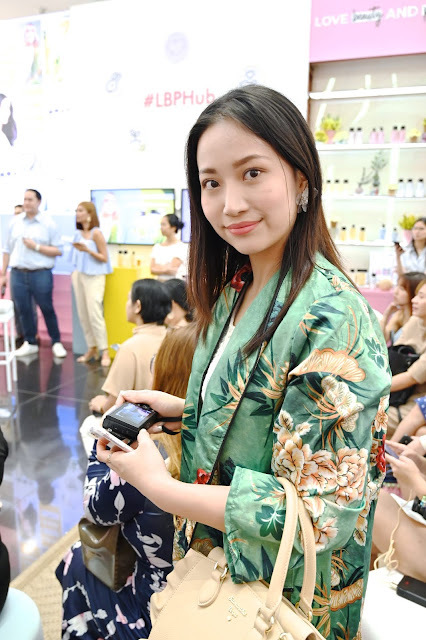 One just can't get rid of their whole carbon footprint in a day, and I also think that on the animals and ethical sourcing part, it's still not possible for someone to have 100% ethical consumption. It takes time, and the important thing is we are all taking the steps to get to the goal of a better world together instead of bringing each other down. And here we have the guests pose for a photo with Unilever managers. This is me while the program was happening. This is a first! No one usually ever takes photos of the audience during the program, so in like 5 years of attending events, this is my first photo of this kind. Okaaay let's get to the products! 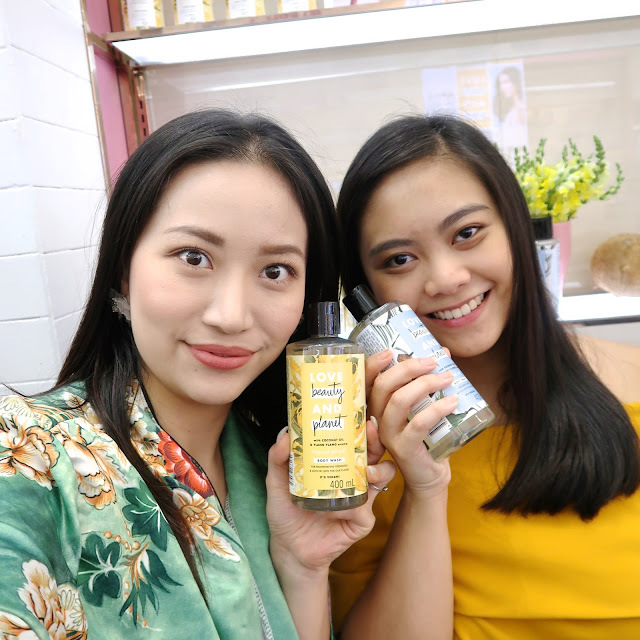 For the Coconut Oil and Ylang Ylang range, there's shampoo, conditioner, and body wash. 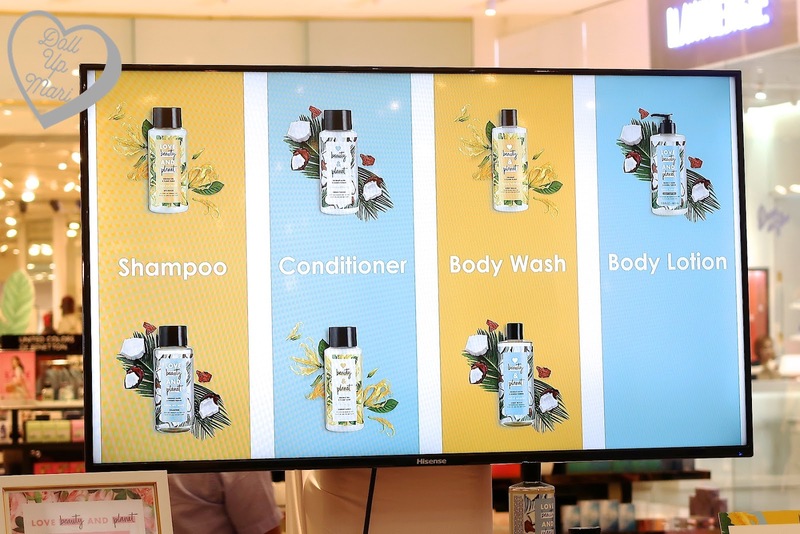 While for the Coconut Water and Mimosa range there's shampoo conditioner, body wash, and body lotion. BTW, they are actually installing deposit centers/boxes for LB&P products in major retailers soon! Because if you think of it, dispensing the products in 100% recycled bottles is just one thing. Once the consumer is done with the bottle, what comes next? Without a collection method, of course, the bottles will all just go to landfills. Once collected, there's so much potential for these bottles. They can be reused for refilling, turned into other plastic containers, or turned into eco bricks. Okay for real let's get to the new ranges! The Coconut Oil and Ylang Ylang range is there to repair and re-hydrate dry hair and skin. The coconut oil, as mentioned, is proudly Philippine sourced! The Ylang Ylang, on the other hand, is sourced from Comoros. This has a very lovely exotic fragrance. 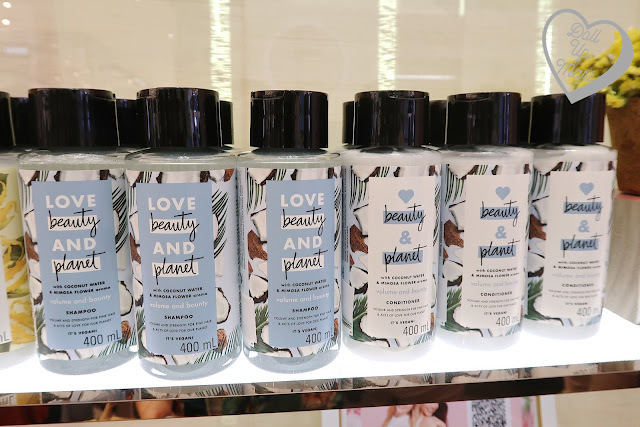 If you are into really floral fragrances, and love a very coconut milk-like scent, then you'll love this. The presence of coconut oil in this range makes it all about hair repair, but still it's formulated to be lightweight for the summer. As mentioned, this range has shampoo (Php390), conditioner (Php390), and body wash (Php290). The other summer variant is their Coconut Water and Mimosa Flower range. Again, yasssss, coz all the coconuts used in this variant are proudly sourced from the Philippines! The Mimosa Flower is sourced from Morocco. This range, on the flipside, is all about bouncy, voluminous hair for the summer. This is perfect for people with fine hair, which is why I chose to take these home ahihihi. Fragrance wise, this has a milder coconut smell than the Coconut Oil and Ylang Ylang range, and it reminds me of buko juice. It smells really refreshing, and as I sniff this while writing this, all I can think of is a beach getaway. 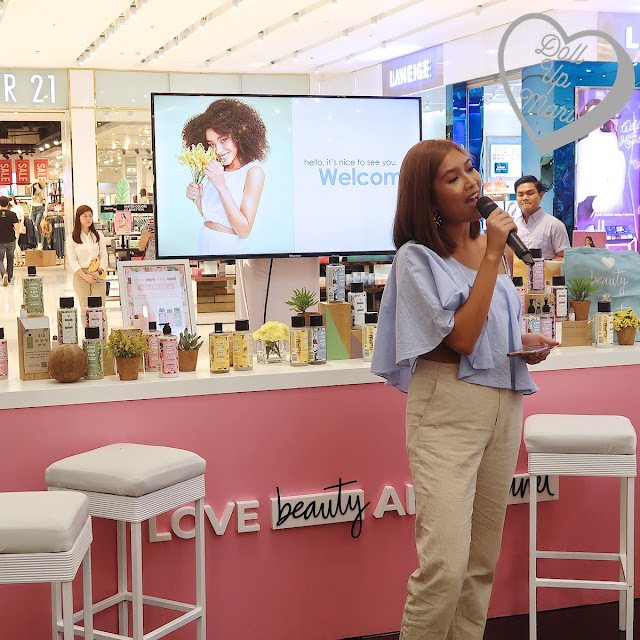 This range has shampoo (Php390), conditioner (Php390), body wash (Php290), and lotion (Php390). Here's me with the Coconut Water and Mimosa Flower lotion! The smell is lightweight, and though I wish it were more intense, I think it will serve its purpose well. I know some people get too overwhelmed with coconut scented products, so this I think exactly is just the right amount of coconut to delight (if that even makes sense). Coz I know some people get dizzy when it's too much... This is just right, and like the core ranges of LB&P, these summer offerings have invigorating and lovely aromas. And I finally got a photo with Sirene Sutton!!! 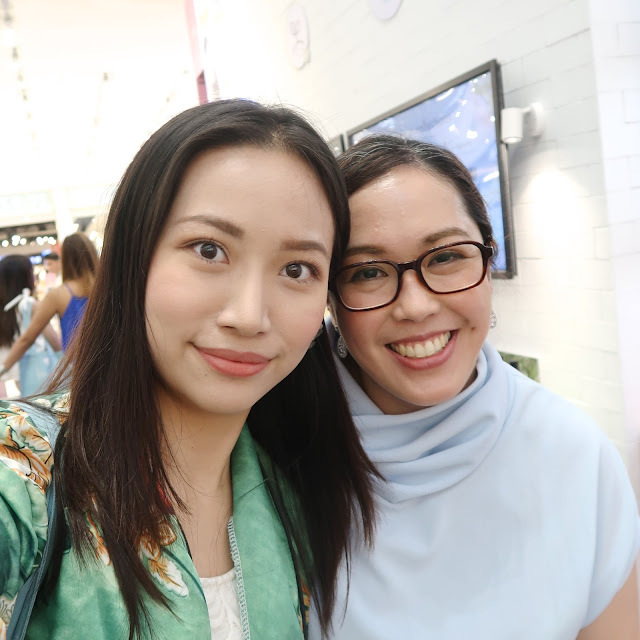 I have attended shows where she modeled, but I wasn't able to get a photo with her. Finally, I got one! 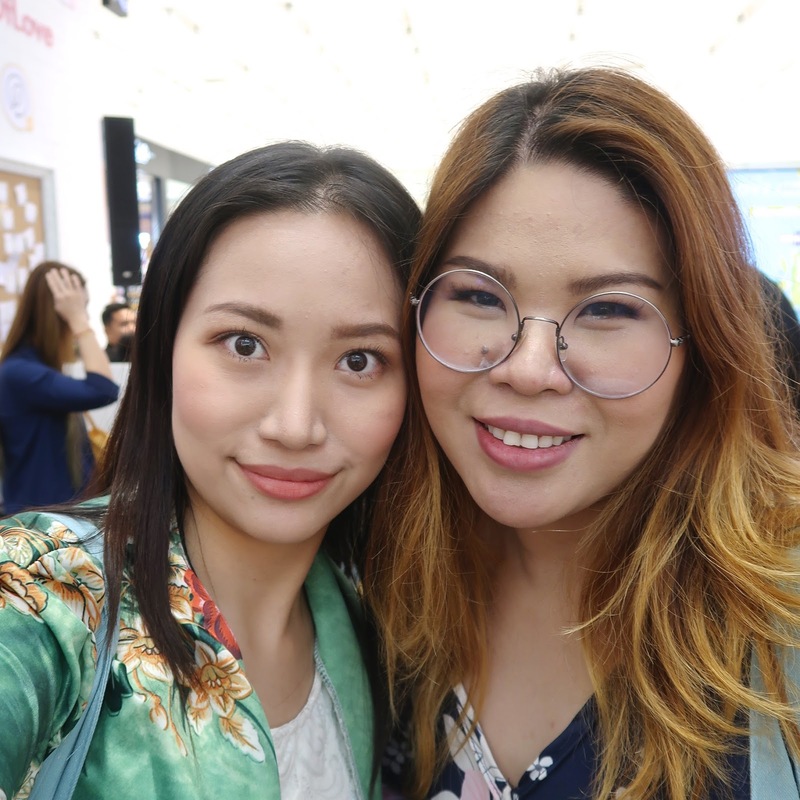 And of course a photo with Achi Wendy, if you somehow still do not know her as top blogger Animetric. 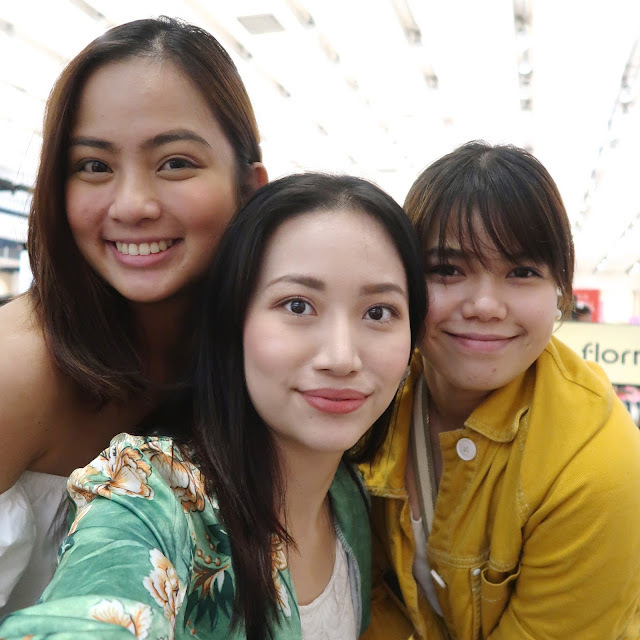 And of course a photo with Jacque and Celine. Together, let's all do small acts of summer love! P.S. 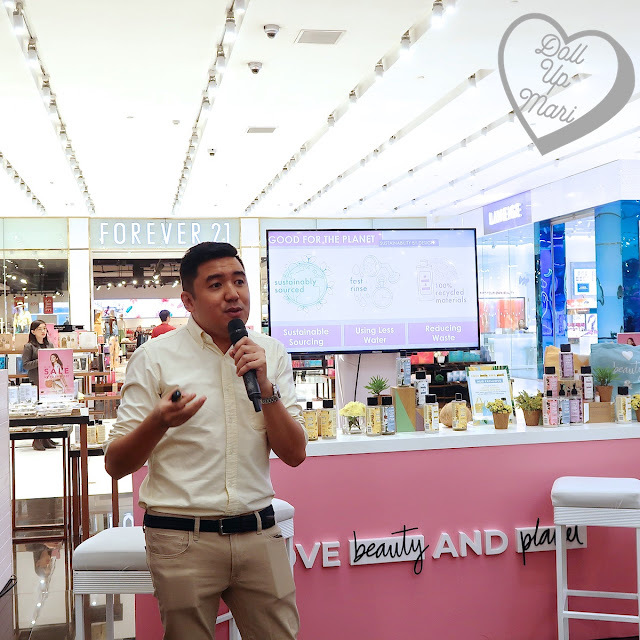 Love Beauty & Planet can be purchased at Lazada, and at major department stores and beauty retailers.